So without further yada-yada-yada, let’s get this love party started! ♥ She’s Not Bad, She’s Just Drawn That Way…..A LOT! I’m sure this will come as a surprise to no one but, damn, Jessica Rabbit sure is a favorite of many pop artists these days and, for this, I am very, very thankful. I honestly didn’t love the film Who Framed Roger Rabbit? and I still feel like it falls a bit short of what it could’ve and should’ve been but, still, I will forever have a deep, disturbing and profound lustful love for the buxom redhead. Obviously, I’m not alone in my perverse preoccupation with the hottest female cartoon character ever to grace the big screen. 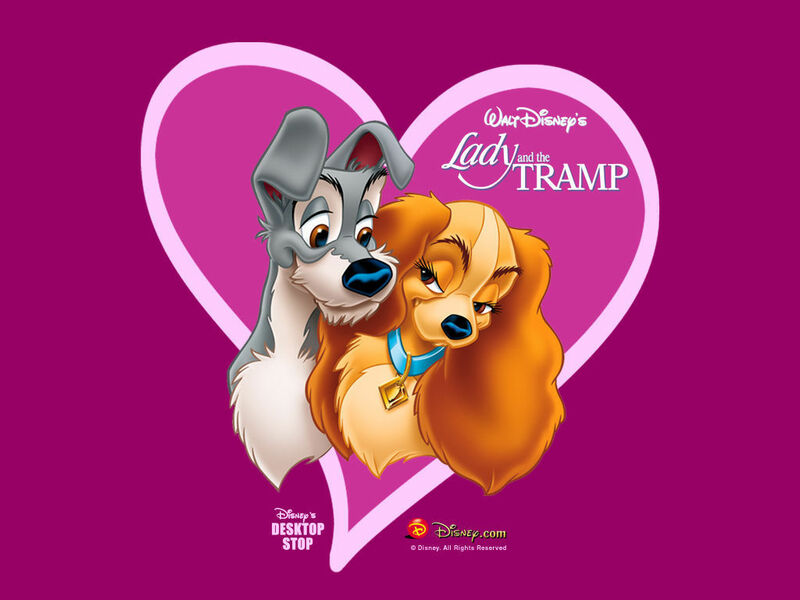 Just in time for Valentine’s Day, Disney has opened the vault once again and has released the Blu-Ray Edition of their sweet classic Lady and the Tramp! My copy should be arriving any day now! 1. There are quite a few of these “kissing montages” online, after watching several, I decided this was my favorite, pucker up and enjoy! 2. “My Funny Valentine” is, of course, THE song for this holiday, all the others come a very distant second. The Rodger’s and Hart classic has been covered a thousand times or more and yet, to my mind, if there is one definitive recording, it’s Chet Baker’s smoky, crooning version. His studio recording is the best but this rare live vintage clip ain’t half bad either, enjoy! 3. 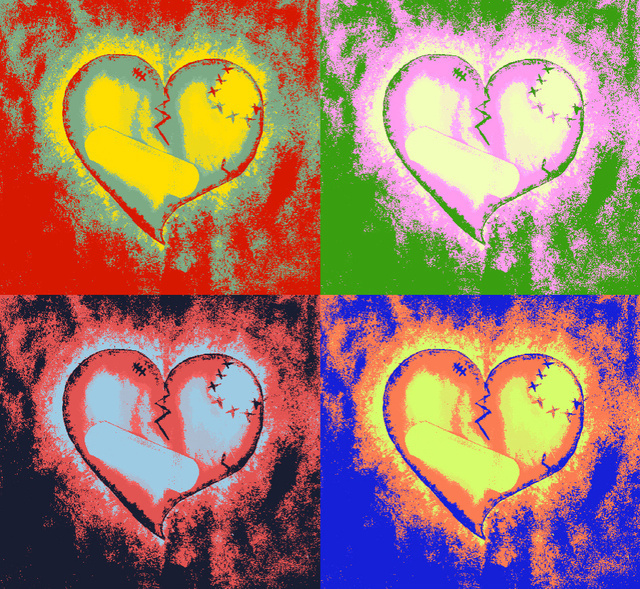 Everyone has a first love they fondly recall from time to time with sad smiles and wistful sighs. No surprise, my first love was on the screen. It took me less than two minutes to fall in love with Audrey Hepburn and that love is as strong today as it was when I first saw Breakfast At Tiffany’s, many, many years ago. This scene is on my short list of greatest film moments of all time. “Watcha’ doin’ ?” – “Writing” – “Good!”…….Sigh. Happy Valentine’s Day Audrey. 4. Speaking of romantic movie moments, the scene that features the song “Falling Slowly” in the film Once is, in my useless opinion, the best in over a decade. I believe the song itself, which took home the Oscar for Best Song in a Motion Picture, is also the best love song written in many years as well, it is what they call an “instant standard”. I would love to have included the video from the film but Fox Searchlight has “disabled embedding” so we have to settle for this clip from Late Night with David Letterman today. No matter, it’s still pretty great, enjoy! 5. If you’re still not sufficiently weepy and melancholy here’s one more scene for you. This has got to be the most amazing five minute sequence in animation history. You’ve cried before, you’ll cry again, enjoy the “Married Life” montage from Pixar’s Up. I apologize in advance. ♥ The Pop Bitez Valentine’s Mix-Tape ! You didn’t actually think I was going to pass up an opportunity to make a Valentine’s Mix-Tape for you this year, did ya ?! Popsters please! Just click on Burt and Deborah and ENJOY!